Then you’ll love The Big London Bake. On the day each baker will be provided with all the key ingredients for the ultimate baking extravaganza which lasts 90 minutes. Whisking, rolling, drizzling, customising, creating will you be crowned the winner of The Big London Bake. A great way to challenge and have fun with your friends, family, lovers or colleagues. Just pick a date and time and get baking. We love it and we get extremely hungry when watching it, but now you can experience The Great British Bake Off for yourself. My friend and I recently participated in the Big London Bake and had a fab time! We had 90 minutes to create a Battenberg which was a tad nerve wracking! However, the staff were super helpful and we managed to get it all done on time. I was really impressed by the number of flavours and fresh ingredients available to choose from. The judging at the end was very nice and seemed very fair. I would definitely recommend for a couple’s date night or friend night out! Had a great time at The Big London Bake – definitely inspired me to be more creative in the kitchen. Ever been envious of those on TV baking creations you could only dream off? Want to do the same without the harsh Paul Hollywood critic? Then I urge you to try the Big London Bake… Read my experience below. We went to The Big London Bake on a Friday night. Me and my girlfriend were lucky to win and had a fun few hours in the tent! 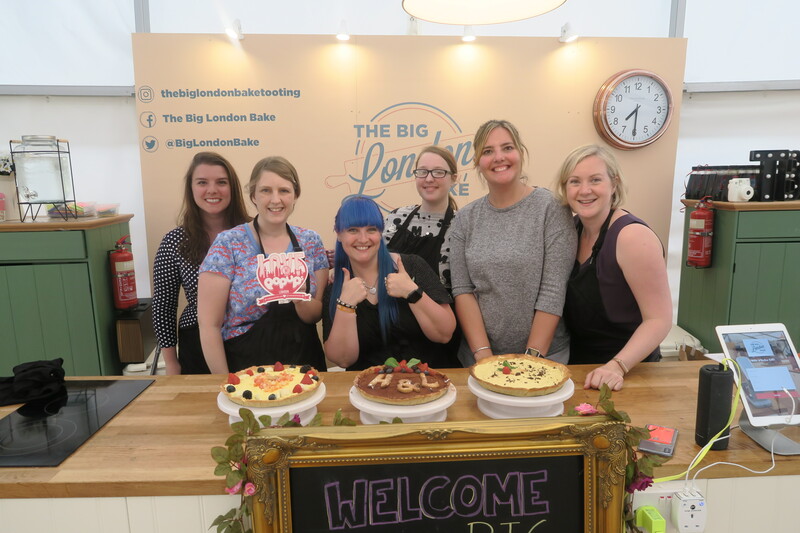 I recently attended The Big London Bake thanks to Love Pop Ups London, read about how we got on and nab a cheeky discount code while you’re at it! The tent is in the garden of the Castle – this is an absolutely beautiful bar with outdoor fireplaces and igloos, since the event starts at 8:30pm I recommend getting a drink here before.